So here’s my teaser…and apparently I’m still not doing the “two sentences only” thing. Teaser Tuesday fail. “I heard the metal key grind as it turned inside the rusty lock of the door, sealing me within my prison. Ty for the comment on http://www.goodchoicereading.com. I haven’t heard of Pine Light. But I’ll definitely check it out. “Anna dressed in blood” is definitly turning out to be creepy. Can’t wait to finish it. Ohhh adding this to my list. Great teaser! 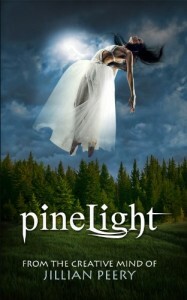 Putting Pine Light on my TBR. This looks really good! I’m adding it to my TBR list. Thanks for stopping by Reading Lark. What a great teaser. I haven’t heard of this book, but am now adding it to my tbr list! O wow. Powerful cover and teaser! My belated TT may be a little controversial.